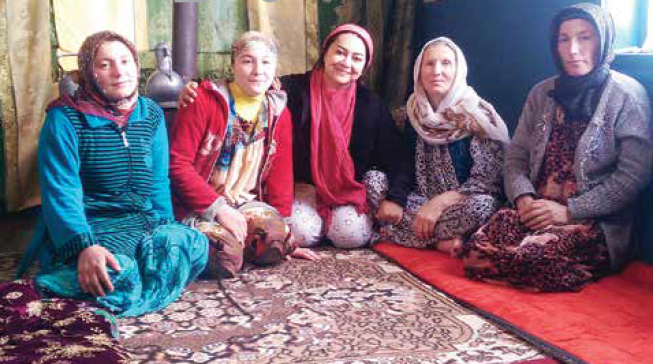 Having visited over 50 countries, Iranian female world traveller believes that love, kindness and generosity are of utmost importance in travelling. Sunflower fields of Arizona, clay soils of Oklahoma and the winds that blow thorn bushes around in secluded roads, just like the ones in Western movies, shrouded in dust and haze; Indians of New Mexico that are found abundantly in this State; the inhabitants of dry lands; the city of Memphis on Mississippi River which, like a mirror, reflects the picture of the city and its magical scene becomes even more dreamlike in the moonlight; and finally the shining fish that are like jewels, postcards and paintings. These are the pictures taken by an Iranian world traveller, a woman named Mahtab Mirtaheri who has travelled alone all the way from west to the east of the US. She visited all these places when she was only 19 years old. “Back then, I never thought I was doing something big but a few years later I noticed that not many people have driven from one end of America to another; so I became very happy,” she said. She left her homeland to continue her education when she was 17 years old. She moved from a university in western US to one on the east of the country when she was 20. Mirtaheri, however, did not fly on a plane or travelled in a train; instead, she hit the road and found a strong penchant for the excitement of traveling. Many years later, she has now grown into a zestful world traveller who has visited over 50 countries so far. She travels to see people and become familiar with their lives. 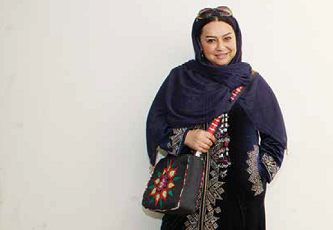 Living in the US came to end for Mirtaheri after she graduated in architecture. She worked for a while and then packed her belongings to embark on her dream of becoming a world traveller. She picked Western Europe as her first destination while carrying a few travel necessities in her lightweight backpack. Traveling alone is maybe the main reason behind her bond with random people. “When you are alone, more opportunities arise to cultivate relations with local people,” she said, stressing that human communication is the most significant part of traveling. She met people who are worth setting off on long journeys just to taste the sweetness of sitting with them; it was so sweet that she embarked on a voyage from southern Spain to Morocco in a ship and visited Algeria afterwards. Her travel to North Africa, however, came to an end in Morocco because she was denied entry into Algeria. “I arrived in Algeria in the aftermath of the September 11 attack; hence, the atmosphere had become tense and they did not allow me to enter Algeria on account of being born in Iran but having American passport,” Mirtaheri explained. A few years later, Mirtaheri returned to North Africa to visit more countries like Nigeria. He decided to visit Nigeria when she was in Nepal. After some inquiry, she received the address to a stadium where she could have a hot bath. In the football venue, she happened to get familiar with a Nigerian who kindly offered her to take hot bath in the hotel room. Mirtaheri later added that she declined the offer; however, such gracious offers, friendship and new people from diverse cultural backgrounds convinced her to visit Nigeria next. She believes that in such countries as Nepal where people live on low income, if you pay a pittance as the fare for your ride, it is a valuable gift to them. Mirtaheri is one of those travellers who likes to leave pleasing memories in people’s minds at every stop and knows that if it wasn’t for people’s generosity, world travellers would not be able to continue their journeys. “I love to thank people who have given me some food or have hosted me in their houses. As a gesture of appreciation, I want to give them something as a keepsake; a pair of earrings, a bracelet or anything as a token of remembrance,” she noted. In addition to the US, Mirtaheri also has an experience of living in Berlin for a few years; however, traveling was still an integral part of her life there. Since her job was project-based, she could travel any time. “End of each architectural project was the beginning of a new journey for me,” she said. Berlin, however, with its cold, dark winters was not appealing to a woman who is in love with light; therefore, she made her mind and continued her journey down to the world’s southern hemisphere where there is abundance of sunlight. She picked Dominican Republic in the Caribbean Sea as her next destination; this time however, she had a companion. After a short stop in Dominican Republic and having enjoyed its warm weather, Haiti, the neighbouring country, came to their attention. They entered into one of the most dangerous countries in the world which is alleged to be deprived of a distinguished government and is controlled under the supervision of UN forces. There is a good chance of being kidnapped; openly carrying handguns in public is permitted; and sounds of sporadic shootings in the middle of the night wipe the sleep from your eyes. They passed up the opportunity of enjoying its good weather for the sake of their lives and returned to Europe after two days so that Mirtaheri could embark on her journeys towards Eastern Europe. “Some places, like Warsaw, are so intimate and familiar that I feel I’m home,” she said, comparing the smell of smoke mingled with the smell of plane trees to the streets of Tehran. In order to realize her dream of traveling the entire world, Mirtaheri split up her travels over the years of her life; therefore, sometimes she is away for only a few months in a year and some other times it takes her the entire year to return home. From Asian countries, she has visited Thailand, Cambodia, Vietnam, Georgia, Azerbaijan, Tajikistan, Qatar, Syria, Lebanon, the UAE and Turkey. Each country is a whole different world; therefore, if you want to be allowed into their worlds, you need to be like them even in the type of clothing. “My type of traveling is a lot different from someone who wants to visit a museum or enjoy natural scenes. I interact with people directly and that is why I should become like them; otherwise, they won’t let me in,” she concluded. Therefore, people from all walks of life would build comfortable relations with her. To Mirtaheri, the most interesting point that everyone shares in this world was the essence of human relations; the very same love that knows no border, colour, language and race. “All humans are from the same species and this is the strangest and most interesting fact that is simply ignored,” she stressed. Among all the countries Mirtaheri has been to and the people she has sat with, Tajikistan was outstanding in terms of attractiveness. She spent Nowruz (the Persian New Year) holidays there and experienced its different atmosphere. “They seemed to have come from the heart of history with their specific traditions and customs,” she noted. Mirtaheri participated in “voluntary work trips” in countries such as Cambodia, Thailand and Azerbaijan where she taught English to abandoned children. She liked to do the same in Jordan too. “One should make meaningful journeys, observe ethics of traveling and become conversant of the customs in order to be a praiseworthy representative of our homeland,” she added. She has learnt that it is an integral part of traveling to know other people; she has learnt to use frugal ways of traveling and has come to know that all corners of the world have opened arms to her travels.